This story was originally published on May 28, 2016. Tourists in the Napa Valley may visit their favorite exclusive wineries and fine dining restaurants, but locals love a more humble dish called malfatti. It’s a little spinach and cheese dumpling, shaped like a pinky finger and smothered in sauce. The most famous malfatti in the region is found in the back of a liquor store in the town of Napa. At Clemente's at Val's, in a large industrial kitchen, you’ll find three generations of the Cittoni family at work: Mary Cittoni peeling onions and garlic, Joanne Cittoni Gonzalez answering the phone and greeting customers, and her son, Joe, at the stove. At the center of the scene is the patriarch, Clemente Cittoni, still cooking at age 78. After moving to Napa from the Lake Como region in Italy in the 1960s, Clemente Cittoni worked as a dishwasher, then graduated to potato peeler and then apprentice cook. Well, famous in Napa. In the kitchen, Cittoni sautees onions, spinach and a few other ingredients in a saucepan and forces the mixture through a meat grinder to combine before adding cheese and eggs. He follows his mentor’s instructions. “Mrs. Tamburelli said, ‘Don’t measure anything Clemente,'" he remembers. "'Un pizzico di che, un pizzico di li,’ a pinch here, a pinch there." 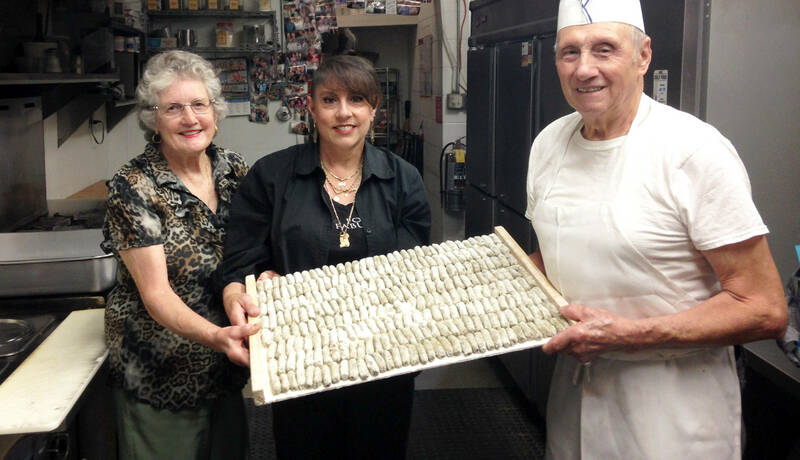 His hands are now too arthritic to form dumplings, so his daughter, Joanne Cittoni Gonzalez, takes over, pinching off bits of filling and rolling each, lightning fast, on floured butcher board. 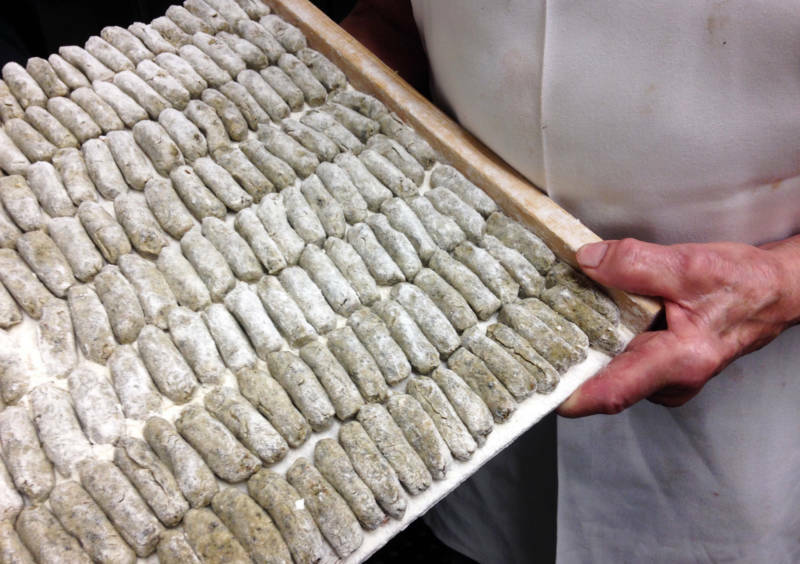 "The malfatti are hand-rolled by my mother, by my son, by my own self, by hand," Gonzalez says. 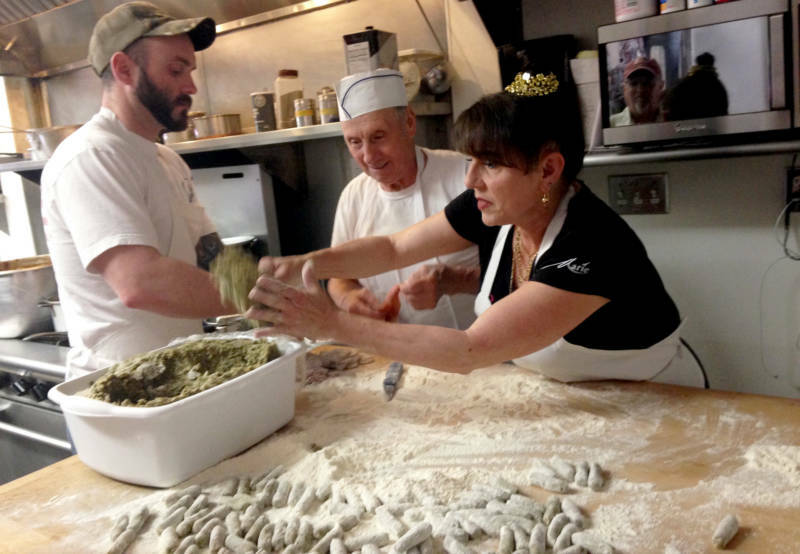 "There's no malfatti machine, but they come out very beautiful." When retired judge and lifelong customer Ray Guadagni walks in, he’s greeted with happy shouts and kisses. Guadagni and I meet up here, then drive just half a mile over the Napa River to Little Italy, the neighborhood where he grew up, and where Napa’s malfatti began. We walk by modest Victorians, with Guadagni listing off names he remembers from the 1950s: the Cavagnaros, the five Martini sisters, the two different houses where he and other neighborhood kids could take accordion lessons. You get the picture. Young, single Italian men first arrived in this neighborhood in the 1860s to work on the railroad. In 1906, Italians fleeing the aftermath of San Francisco’s earthquake found new lives in Little Italy. For decades, the town of Napa remained blue collar, with people working in factories and orchards, but when they could, they visited the pride of the neighborhood: the Depot Restaurant. Theresa Tamburelli -- herself a San Francisco earthquake refugee -- opened it in the 1920s. Clemente Cittoni came on board 40 years later. “A lot of people were poor and didn’t have money to go to dinner that often,” says Guadagni. “My dad ran a wrecking yard. While he was not wealthy, he loved food,” so the family had most Sunday dinners at the Depot, a block from their house. As a little boy, Guadagni would often fetch what amounted to 1950s takeout there on other nights of the week. His mom would send him to the restaurant’s back door, with a pot from her own cupboard and a note requesting ravioli and malfatti. They’d fill up the pot and send little Ray Guadagni back home with dinner. Malfatti was legendary, and its origin story has a few variations, depending on whom you ask. Local historian Lauren Coodley, author of "Napa: The Transformation of an American Town," says that, in the late 1920s when a visiting baseball team came to town, Theresa Tamburelli intended to make them ravioli, but ran out of flour to make dough for the pasta (Clemente Cittoni says Tamburelli forgot the team’s reservation, and others remember it being a football team). 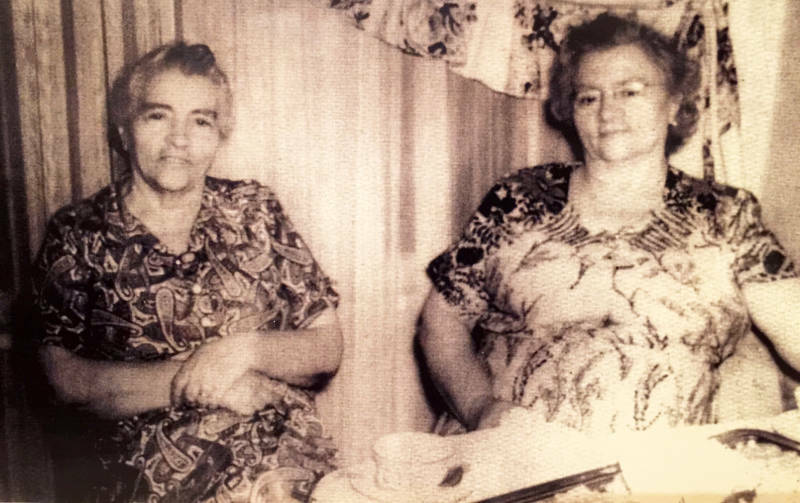 Tamburelli did have extra ravioli filling on hand, so she created little dumplings -- like fingers, meatballs or sausages -- and boiled them in a pot, served them with her famous meat sauce and called them malfatti (meaning “mistake” or “poorly made”). "It was a huge hit, and people started requesting it,” says Coodley. Malfatti became as ubiquitous on Napa’s Italian restaurant menus as spaghetti and ravioli. Now, it’s hard to confirm that malfatti was born in Napa. Italy’s Lombardy region boasts an oblong “green gnocchi” malfatti, and in Siena they make gnudi, little balls made out of ricotta and sometimes spinach. But there’s no doubt that the town of Napa made the Depot Restaurant’s malfatti its own. When Theresa Tamburelli retired, Clemente Cittoni became head cook as well as the heart and soul of the Depot, greeting all tables and singing “Happy Birthday” to customers. “He made you feel so welcome," says Ray Guadagni. “He would say, ‘Raymundo’ and put his arms around me and kiss me on the cheeks. He was so hot and sweaty, and it was a wet kiss. He did it with everybody." 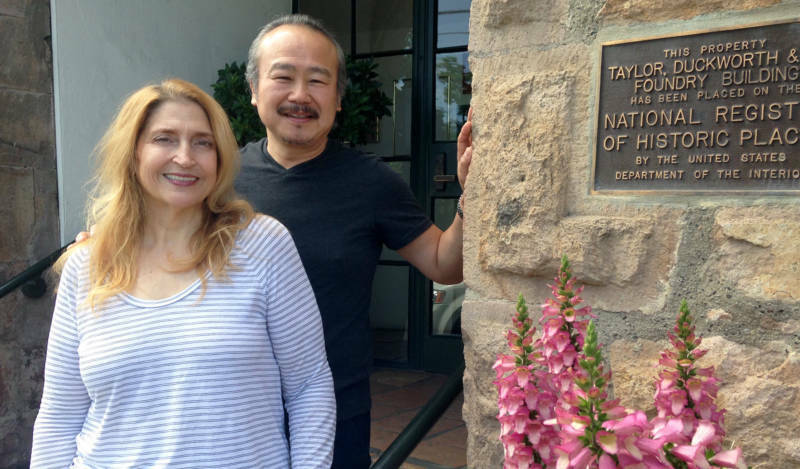 The Depot even drew high-end restaurateurs Lissa Doumani and Hiro Sone. The couple met while working in the famed Los Angeles restaurant Spago for Wolfgang Puck, and they own the award-winning Terra restaurant in St. Helena -- he’s chef and she’s pastry chef. As a teenager growing up in Napa in the 1970s, Doumani sold malfatti at the deli counter of Lawler’s Liquor, run by descendants of Theresa Tamburelli’s sister. Doumani says it’s not really a rivalry, but certainly “there were two different schools of malfatti in Napa Valley,” and everyone has a preference. Though Sone is originally from Japan, he’s obsessed with old American-style Italian restaurants. When he moved to Napa, the Depot became one of his favorite restaurants, and he found malfatti totally unique. “I’d never seen it in any other part of the U.S.,” Sone says. “We are in Napa, so I wanted to put it on the menu.” It’s also featured in Terra’s cookbook: malfatti with rabbit cacciatore. But if this dish is so important and so well-loved, how did the original Napa malfatti end up in the back of a liquor store? 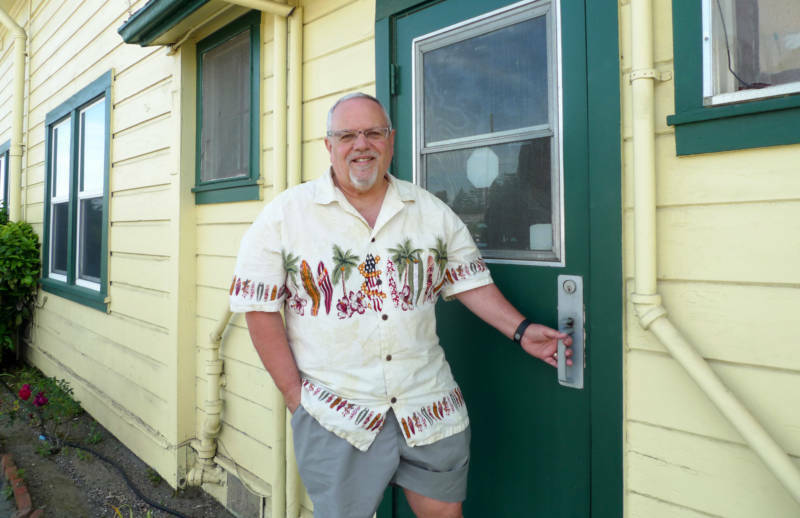 Clemente Cittoni says that when the Tamburelli descendants finally sold the Depot Restaurant, the new owner wanted him to keep running the kitchen, but cut corners on the recipes. “He said, ‘Clemente, your food takes too much time and time is money for me.’ I said, ‘I’m sorry. Cut down the quality, and that’s my reputation.'" So Cittoni quit, and for years was a cook without a kitchen, working the counter at a deli in town. Meanwhile, the Depot closed for good. When he got an offer to partner with Val's liquor store in 2008, Cittoni took it, and was back to making malfatti on his own terms. “It’s part of the life of the Napa people.” He says Napans who have moved as far away as New York ask him to ship malfatti, but that’s more than his small business can handle. “They’ve got to come to Napa to get the malfatti,” he says. Cittoni knows he won’t live forever, but he hopes malfatti will. And miss the lesson that a mistake can become something legendary. Reporting of this story made possible by the Peter A. & Vernice H. Gasser Foundation. Support for California Foodways comes from California Humanities.